Some digital pioneers think that the online sharing of books via social media -- social reading -- may become the dominant way of both consuming and producing stories. Some digital pioneers think that online sharing via social media -- social reading -- may become the dominant way of both consuming and producing stories. Those were the opening words spoken in the first feature-length talking picture. They proved prophetic for the movies, which have gone through constant, disruptive change ever since. And they could apply equally well to another cultural industry that in the past decade has gone through its own upheaval – publishing. 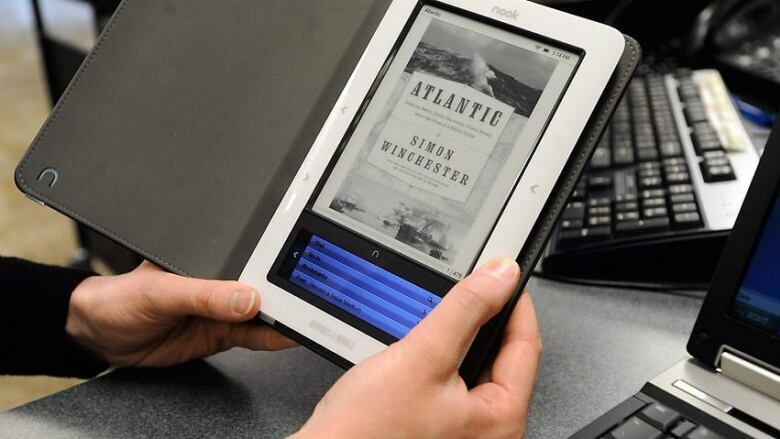 The United States leads the world in the growth of e-reading, but Canada isn’t far behind. The latest figures show e-book sales have soared from practically nothing five years ago to about 16 per cent of all books sold in Canada in 2012. That’s worth sales of roughly $300 million CDN a year, up from $100 million when my collaborator Dave Redel and I produced a CBC Radio documentary for Ideas in early 2011 called Closing the Book. In making our sequel, Opening The Book, which airs Feb. 25, we learned that e-books promise to fundamentally change the way we read. Sean Prpick and Dave Redel’s CBC Radio documentary, Opening The Book, airs on Ideas at 9 p.m. (9:30 NT) on Feb. 25. According to Bob Stein, a digital pioneer, the future of books is "social reading." 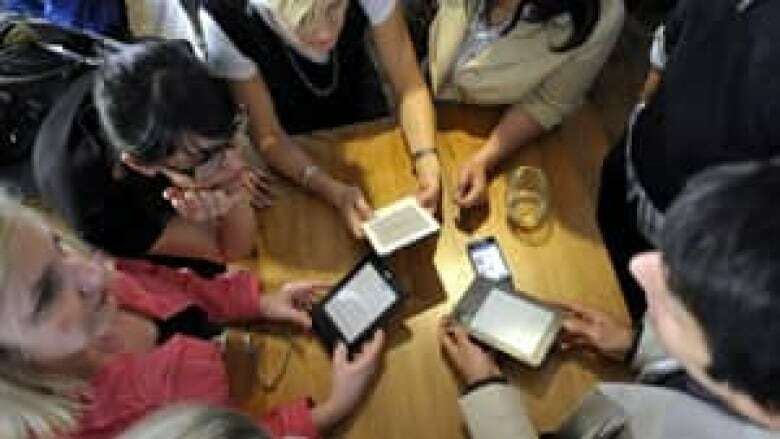 Digital booksellers, like Amazon and Indigo, have harnessed social media from the start. They and other sellers encourage their customers to comment on books in company-controlled chat spaces. But these digital walled gardens are way too limited for Stein, who heads up the Institute for the Future of the Book and was the founder of the Criterion Collection, the celebrated video-distribution company where he dreamed up the idea of adding commentary tracks to movies on DVD. Based in New York, Stein is working on a new application called Socialbook, which is like those Amazon and Indigo chatrooms — on steroids. Stein believes Socialbook and networked technologies like it make discussion about books far more social, dynamic and powerful. "I'm quite sure that this concept of social reading is much deeper than anything I've done before," Stein told us. "Criterion was cool, re-imagining the page [with CD-ROMs] to include audio and video. Great idea, I'm glad we did it and it was important, but the idea that media is becoming fundamentally social is much deeper." Stein believes online sharing may become the dominant way of both consuming and producing stories. "This idea that we read by ourselves is a relatively recent idea and is going to go away," he said. "The reality is that once you start locating texts inside of that dynamic network, you start opening up the possibilities for the book to become a place where readers can start to congregate and start to talk to each other, and once people start to see the power of that, they won’t want to go back." James Bridle, a London, UK-based editor, publisher and self-proclaimed book futurist, isn’t as sold on the intense online socialization of reading and writing. Bridle notes that in the 18th century, the French writer Montaigne sat in his lonely garret and basically invented the modern essay, not knowing if it would connect with readers. It turns out his essays did – and to great public acclaim, too. Bridle thinks digital technology could be used to enhance one-on-one relationships between author and readers, which he thinks will be just as valuable in the future as social online reading and writing. Stein, however, contends that social reading actually brings our culture full circle. In the pre-historic, preliterate era, storytelling was communal, as tales were told around the campfire. Up until now, books in both paper and digital form have been pretty resistant to networking. They’ve been closed silos of information that publishers have been keen to keep inside their own covers (even if they’re virtual covers). After all, publishers are in the business of selling access to that information in order to get you to buy a copy. But Hugh McGuire, the Montreal-based founder of online publishers Pressbooks and Libravox, thinks that business model — pretty much the one in place for the last 500 years — is ready to be blown away. McGuire, who co-edited the recent anthology Book: A Futurist's Manifesto, believes the old model will be replaced with one that makes all the information in all future books open, accessible and free for analysis. "One of the things I believe is that a lot of books will end up totally on the web, and that's something that horrifies people for, I think, cultural reasons," said McGuire. He said a lot of people think "books are important and the web is for Twitter and Facebook and silly things. I say this is a ridiculous notion. First of all, there's an awful lot of schlock and not very good stuff which is published as books, and there's an enormous amount of serious information that is on the web." To get at that serious information, read it and discuss it freely, McGuire thinks within the next five years, every page of every book will become its own searchable webpage with its own URL. He also thinks nearly every book will come with an application programming interface (API), which is a sophisticated programming tool that will allow you to manipulate the information in weird and wonderful and highly informative ways. Say you and your friends are reading Bram Stoker’s classic Dracula together online and you become interested in the bloodsucking count’s extensive travels through Europe. McGuire says an API-coded version would allow you to produce a sophisticated map with just a few keystrokes. The map could then interface with a travel website, which would allow you to book transportation to London, a key location in the novel. After your arrival in the UK capital, you and your friends could take a walking tour with smartphone in hand. After surfing to the book’s website, the embedded API would synchronize with the GPS in your phone. And that would then give you various Dracula-themed literary references as you pass locations mentioned in the book, making for a much more interesting visit to London. Of course, for a scenario like this to work, McGuire stresses the information in books has to be free and web-accessible, and that shatters the carefully guarded silos of the publishers. "This is the great challenge that we have every time the media goes through a great transition," McGuire says. He likens it to the publishing landscape when Johannes Gutenberg invented the printing press in the 15th century. "I imagine that [if there were] radio programs in the 1400s with interviews with Gutenberg asking him about how this was going to impact the business model of the scribes who copied bibles at the time. He didn't know … and it wasn't until [Martin] Luther came along that a good business model was found. So, we don't know!" Sean Prpick and Dave Redel’s CBC Radio documentary, Opening The Book, airs on Ideas at 9 p.m. (9:30 NT) on Feb. 25. You can listen to it in its entirety on the Ideas site.